One thing you have to hand to fly fishing manufacturers: they are not afraid to build a whimsical product. Last year at the Fly Fishing Retailer Show, Abel Reels brought a poker table–and handed out custom-engraved aluminum poker chips instead of business cards. 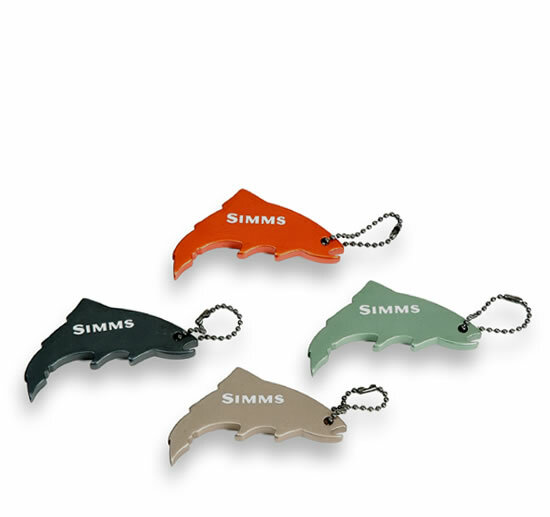 Two of the best known pieces of useful marketing schwag are the Simms Thirsty Trout ($6) and the Hatch Reels Fish Tail ($20) bottle openers. Having the opportunity to use fishing-themed bottle openers on a regular basis is one of the highlights of working for MidCurrent, so I’d say I’m qualified to evaluate these two contenders in a head-to-head matchup. In the left corner, the Simms Thirsty Trout weighs in at about as much as a pack of Post It notes. Being made of cheaper aluminum helps keep the costs down, while the paint can flake off with heavy use (whether that’s a bug or a feature depends on your perspective). The trout’s tail is a remarkably usable lever considering how little they had to modify the famous Simms logo. Bonus points for cutting an eyehole/key-ring adapter. 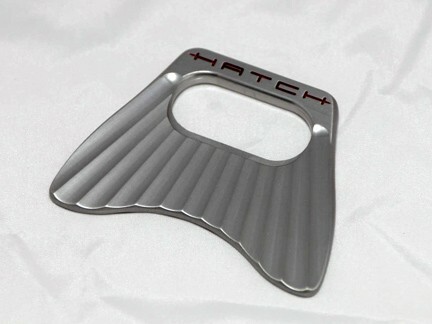 Meanwhile, to my right, the Hatch Fish Tail is actually machined like a reel, and has Hatch’s trademark paint-within-etching finish. The whole tail is a lever, providing enough torque to pop the top on the gnarliest Oregon microbrews. The machining is so nice, this product might increase your bar tab: no PBR is fine enough for this beauty. The Simms Thirsty Trout! In the bottle-popping world, price beats quality every time. The Thirsty Trout’s keychainable profile and logo heritage help it to punch above its weight class, while the Hatch Fish Tail may be just a little too fine for its own good. Do you gnaw the bottle caps off your brew with the same broken tooth you use to cut tippet? Let us know in the Comments section!